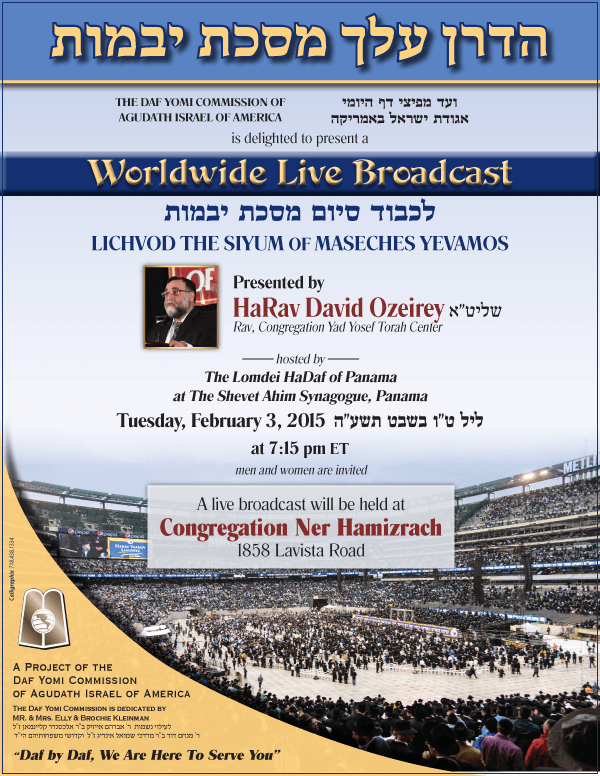 View a live broadcast of the Siyum of Maseches Yevamos – presented by Rabbi David Ozeirey, shlita. Tuesday, February 3, 2015. A project of the Daf Yomi Commission of Agudas Israel of America.